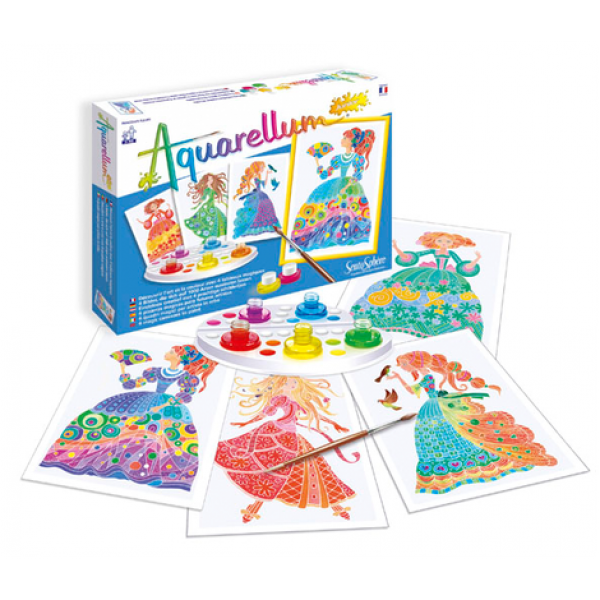 Home » CREATIVITY » Watercolour colouring pictures » Aquarellum Junior "Princesses"
These easy to use sets feature a distinct and unique method that makes painting by numbers obsolete. 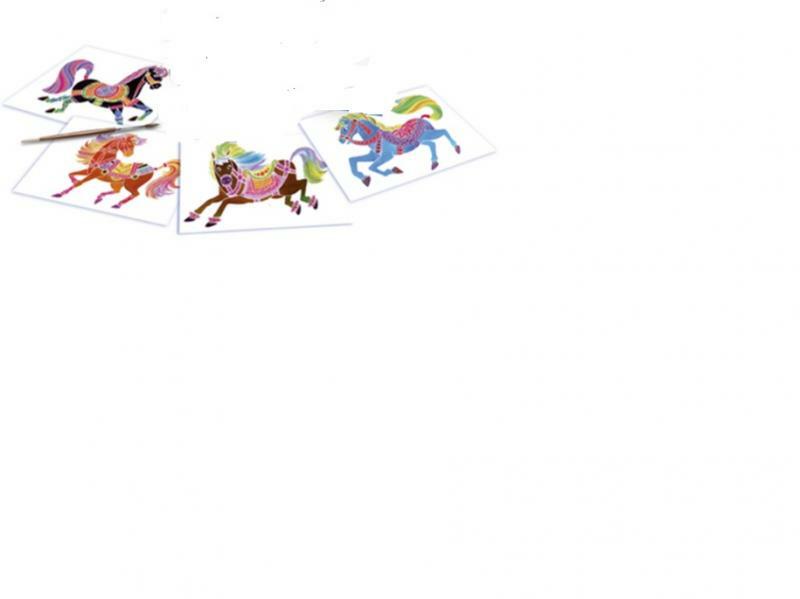 The painter has complete control. 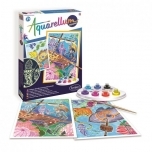 Unique embossed picture cards absorb paint in some areas and repel it in others creating intricate, detailed works of art that even the youngest children can achieve. 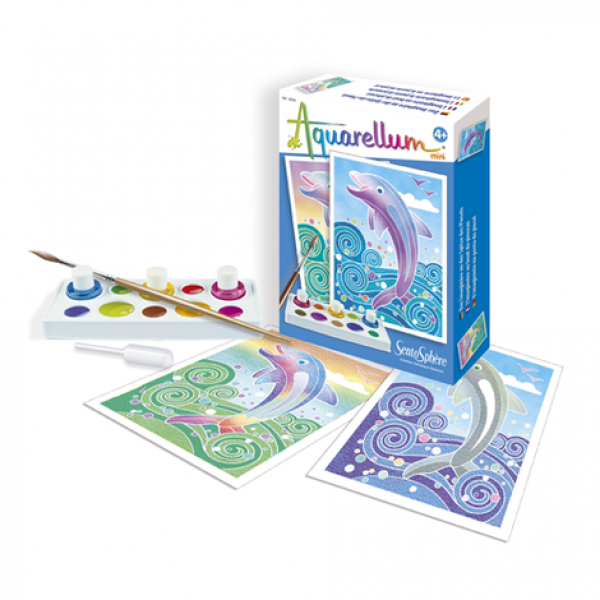 The vibrant colors provided in these superb painting kits are extremely appealing to children, Parents describe Aquarellum as captivating and relaxing for both themselves and their Children. 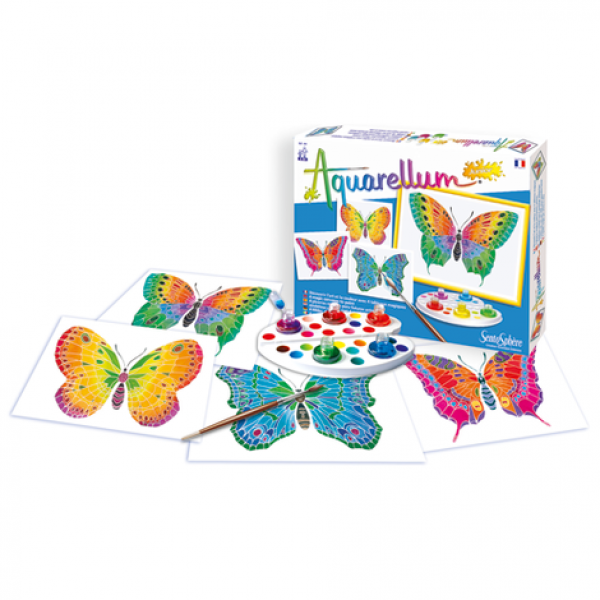 The Aquarellum Juniors have four boards and 5 washable inks to create 1000's of exciting color combinations!